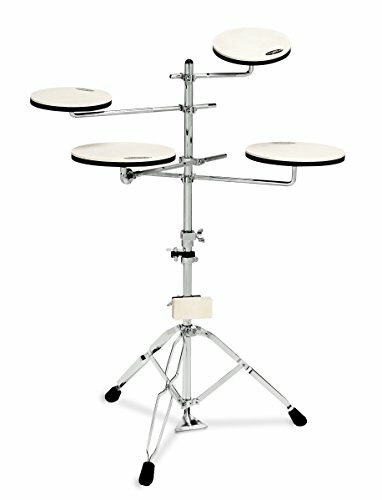 Soundoffs allow players to practice on their normal drum sets and in the comfort of their own homes without making noise. The standard pack includes sizes to fit a drum configuration of 12-13-16 Inch toms with a 14 Inch snare. The DW complete Go Anywhere Practice Set includes two 8" drum pads for tom and cymbal, two 10" drum pads for snare and floor tom, one bass drum pad, stand, and all mounting hardware (pedal not included). Dimension: 12" x 1" x 12" Color: Blue. Environmental & odorless gum rubber on one side. Sponge on the other side to prevent from slipping & noising. 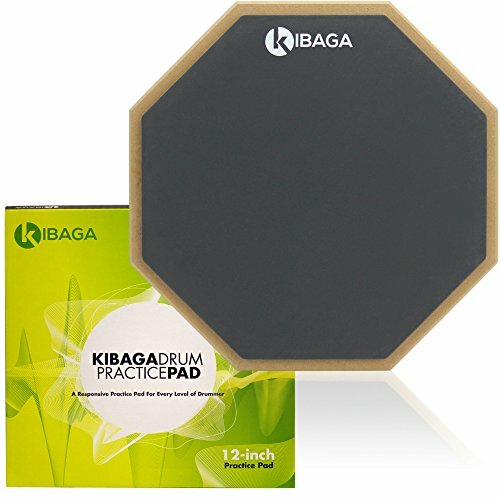 A great drum practice pad for you.Please Note: The stand in the picture is not included. 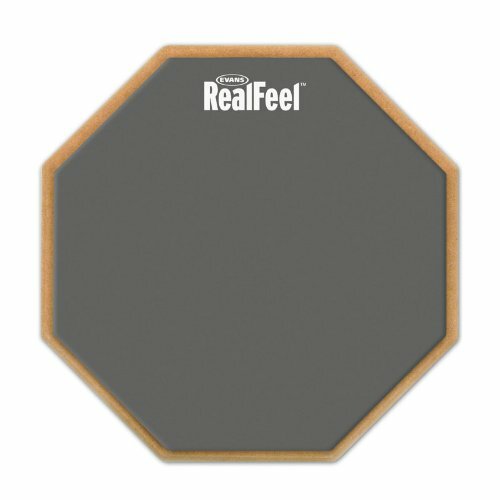 For the player who likes to keep their chops up while on the road, the 6 Inches 2-sided pad is small enough to fit inside a stick bag, has a natural gum feel on one side for the realistic rebound, and a harder recycled rubber surface on the other for a real workout. Designed around the 'average' fusion drum set, these mutes will allow you to practice your grooves and fills without driving everybody else nuts. 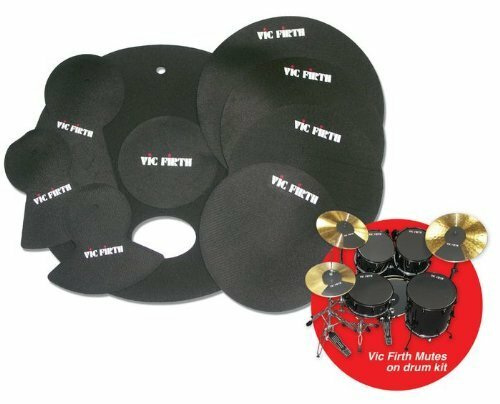 Made of rubber to give a good rebound, this pre-pack includes mutes for 10", 12", 14", and 16" toms or snares, a 22" bass mute, hi-hat mutes, and 2 cymbal mutes. 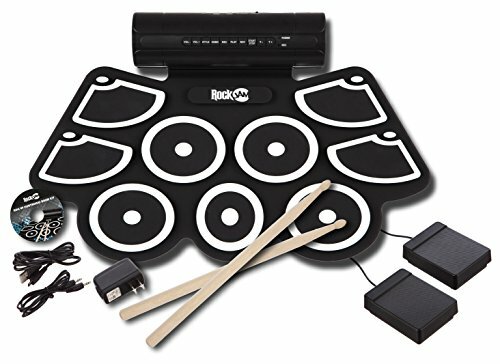 Take your drumming skills on the road with the Rock Jam MIDI Rolling drum kit. Included in the Super Kit is a thick padded rollup drum kit that features 9 drums and cymbal pads with many different sounds, two pedals that emulate a real drum kit, power supply that saves money with batteries, and drum sticks. It features a USB MIDI connection, which is a must have for musicians that want to add extra flair to their recorded tracks, built-in speakers, a record function so your best beats can be remembered. Unlike many electronic drum sets, the Rock Jam drum kit can be rolled up so you can easily take it with you on the road. The Rock Jam Portable Rolling Drum Kit is a great first drum set as it emulates a real drum set while barely taking any space or making too much noise. 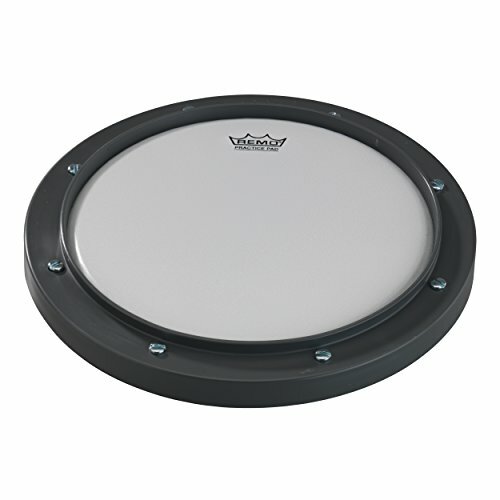 Portable practice drum pad: Has the bounce and feel of a real drum, can be mounted on a stand for upright playing. Convenient set: With a screw hole at the bottom, can be mounted on a stand, plastic rim and anti-slip bottom design are good for playing. 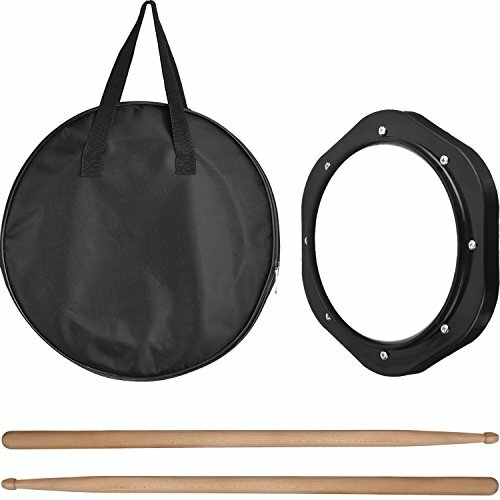 Comes with a pair of drumsticks and a carrying bag, which is convenient to carry and you can practice anywhere. 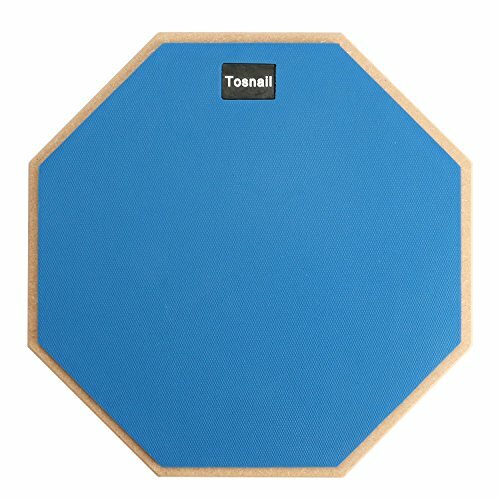 Suit for: The drum practice pad is designed for the beginning drummer, also suit for the advanced drummer to practice their skill. 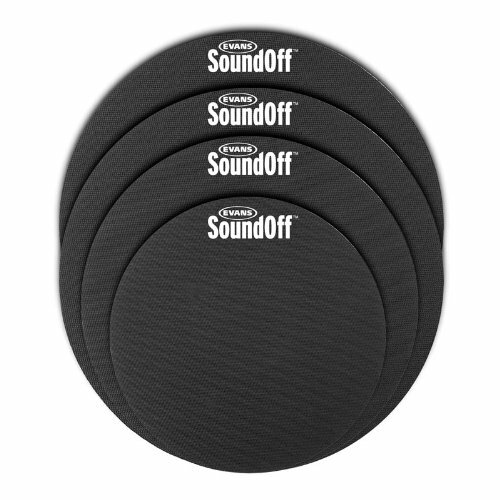 Padded drum with anti-slip bottom can put on a counter, tabletop, or play on the carpet, etc. Specifications: Material: plastic Color: white and black Drumstick length: 40 cm/ 15.7 inch Drum size: 27 x 27 x 3 cm / 10.6 x 10.6 x 1.2 inch Carrying bag size: 28 x 28 x 3.5 cm/ 11 x 11 x 1.4 inch Package contents: 1 x Drum practice pad 1 Pair of Drumstick 1 x Carrying bag Warm notice: the drumsticks are not fit in the carrying bag. Good piece of kit for quiet practising. Pretty robust and doesn't take up much space. 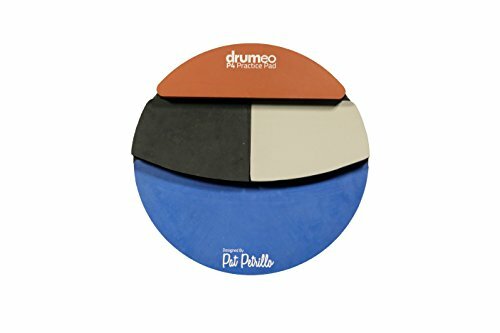 Compare prices on Drum Set Practice Pads at ShopPlanetUp.com – use promo codes and coupons for best offers and deals. We work hard to get you amazing deals and collect all available offers online and represent it in one place for the customers. Now our visitors can leverage benefits of big brands and heavy discounts available for that day and for famous brands.